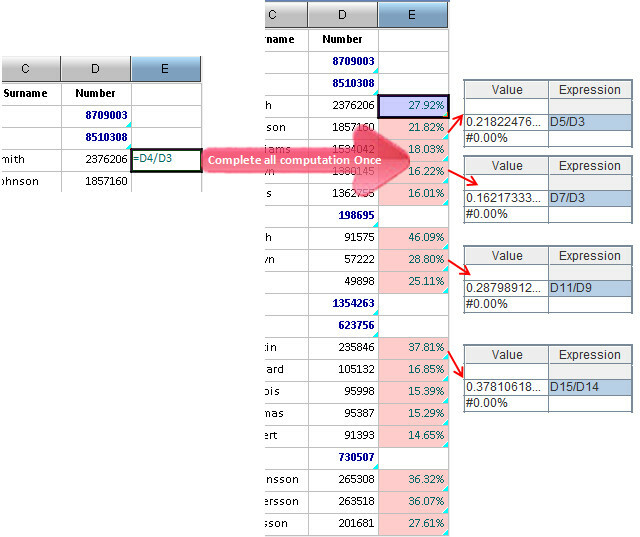 • Automatic and intelligent formula migration, without copy and paste. The following table lists the most frequently used surnames in some countries and the count of people using each surname. 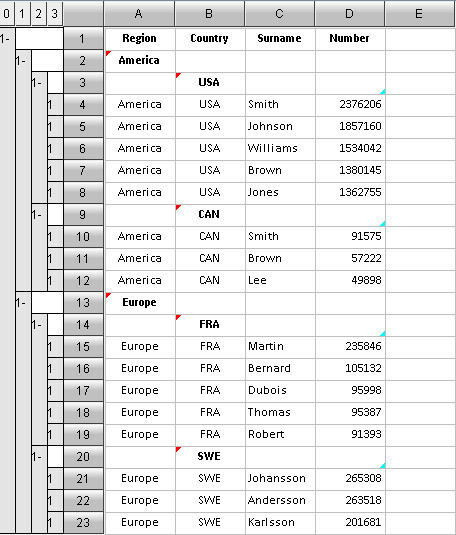 The task is to calculate the total population that use these surnames in each country and region, as well as the proportion of the population that use each surname in a country’s total population with the most commonly used surnames. As you can see, the desired total population in each country and region has been obtained. 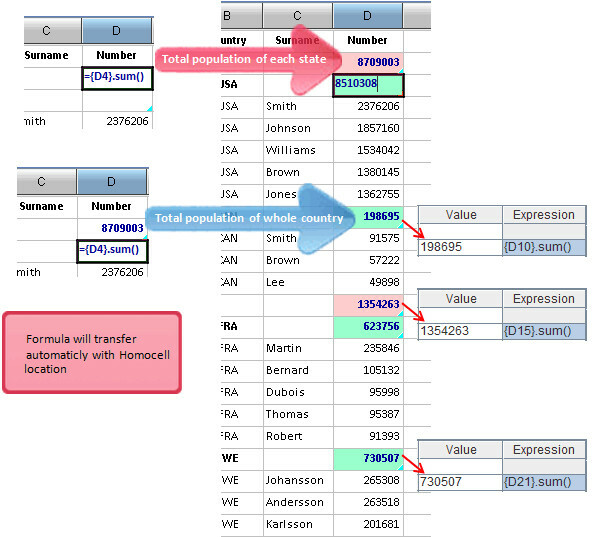 The formula has intelligently migrated, parsed and calculated according to the positions of homocells.